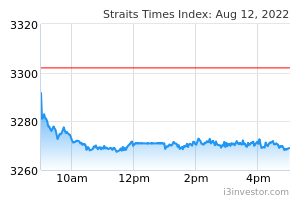 SGX: Sunpower (5GD) SUNPOWER GROUP LTD.
Sunpower Group Ltd., an investment holding company, operates as an environmental protection services provider primarily in the People’s Republic of China. The company operates through three segments: Environmental Equipment Manufacturing; Engineering, Procurement and Construction Integrated Solutions; and Green Investments. It offers heat exchangers and pressure vessels for completing the reaction, heat transfer, separation, and storage during the process of industrial production in chemical, petrochemical, metallurgy, and pharmaceutical industries; heat pipes and heat pipe exchangers for heat-transfer in petrochemical, steel, and chemical industries, as well as to protect the permafrost foundation in the construction of roads, railways, and oil pipelines; pipeline energy saving products used in the connection liquefied natural gas pipes, liquefied petroleum gas pipes, ethylene storage, steam pipes, and pressure pipes; and related environmental protection products. The company also provides flare-gas recovery, sulfur recovery, and zero liquid discharge systems primarily used for the treatment of industrial waste water, waste gas, and residue in the petrochemical, chemical, and coal chemical industries. In addition, it engages in the photovoltaic power generation and clean energy related petrochemical engineering activities; and engineering, procurement, and construction of build-operate-transfer/transfer-operate-transfer/build-own-operate projects. Further, the company installs and commissions projects; provides technical and consultation services; produces and sells foam glass products; supplies steam/heat gas to enterprises; and researches new energy-saving materials. 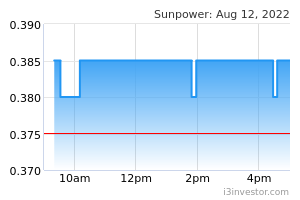 Sunpower Group Ltd. also exports its products to Europe, Australia, Southeast Asia, South Asia, Central Asia, North America, South America, and the Middle East. The company was founded in 1997 and is based in Nanjing, the People’s Republic of China.